A New Art Adventure! 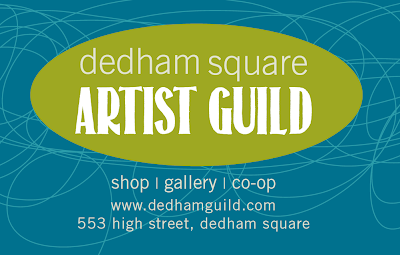 I along with, Jen Barsamian and Marietta Appollonia are opening a gallery/co-op in Dedham Square on October 1st. 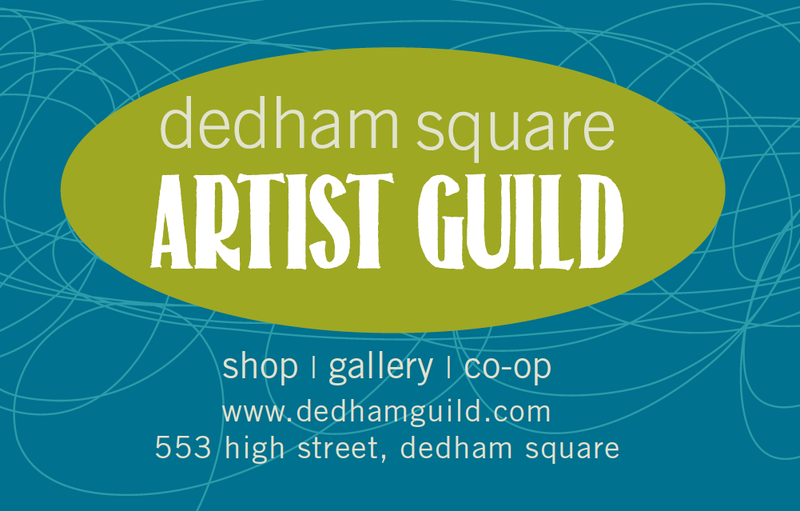 It is called Dedham Square Artist Guild. The window art is by Paula Lazar. It is beautiful and really brightens the window. We are so excited to be opening in Dedham. 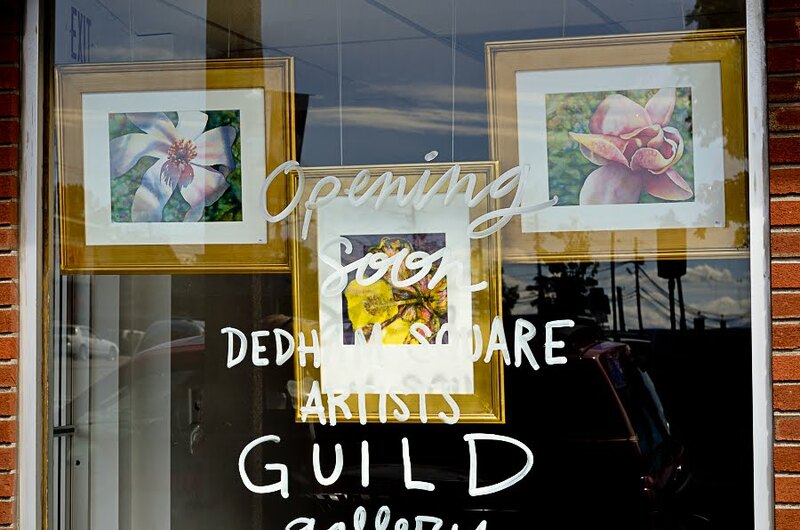 I love that we are bringing art to the square in the form of this gallery/co-op. 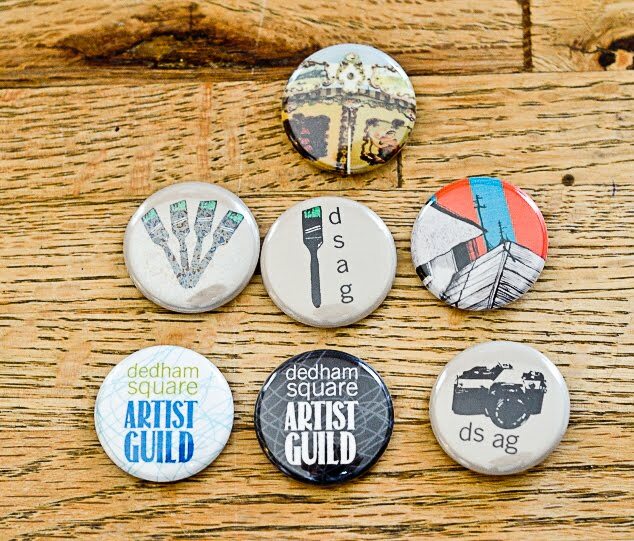 There are over 20 artists from Dedham and the local area showing their work in the gallery. If you are in the Dedham Area stop by our gallery. It will be open Thursdays - Sundays. Our Grand Opening will be Saturday, October 1st. 12-8pm. We will have a raffle and refreshments. 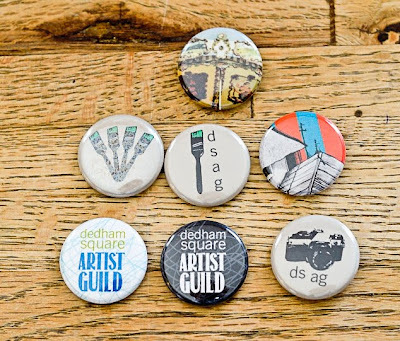 We will have a preview night September 30th during the Dedham Square Circle's Fall Stroll 5pm-8pm.